Not since "Schindler's List" has a film dealt with the Holocaust, in particular the Warsaw Ghetto, in such a moving and realistic manner. This story is true, taken from the book "The Mother of the Holocaust Children" by Anna Mieszkowska. It is the stuff of fiction, only this is real. A social worker in Warsaw, outside of the Ghetto, working under the noses of the Nazi's, smuggled out 2,500 Jewish children before the final destruction of the Ghetto. Utilizing various means, including wheelbarrows, Ms. Sendler is able to place these children with Christian families, who will raise them until the end of "the madness." As an employee of the Warsaw Social Services, Ms. Sendler had unlimited access to the Ghetto in Warsaw. When rations in the Ghetto are slashed to 300 calories per day, per person, she recruits all of her fellow co-workers into a scheme to smuggle food into the Ghetto. When she decides to rescue the daughter of a friend, an idea is born. Eventually suspected and then arrested, she is subjected to brutality and torture in an effort to locate the children she has smuggled out. These names have been carefully recorded along with the names of the families who took the children in. This information is kept in a Mason jar and hidden. The penalty for all parties to this crime is execution. No trial, just execution. When Ms. Sendler is about to be executed, along with her co-workers, she is spared at the last minute and sent off on her own to hide. One of the men involved in the plot to save the children has her taken away from Warsaw and hidden. Before she goes into hiding she passes the jar along so that the children can be returned to their families. The most moving part of the film comes at the end when Ms. Sendler, who passed away in 2007, is shown on camera commenting on the importance of returning these children to their families. She delivers, in Polish, the most beautiful statement about the pain of both sets of mothers. The birth mothers who were seperated from their chidren, some forever, as well as the Christian Mothers who raised these children for almost 5 years and then had to return them to their rightful families, both suffered enormously. And both groups displayed extraordinary courage. 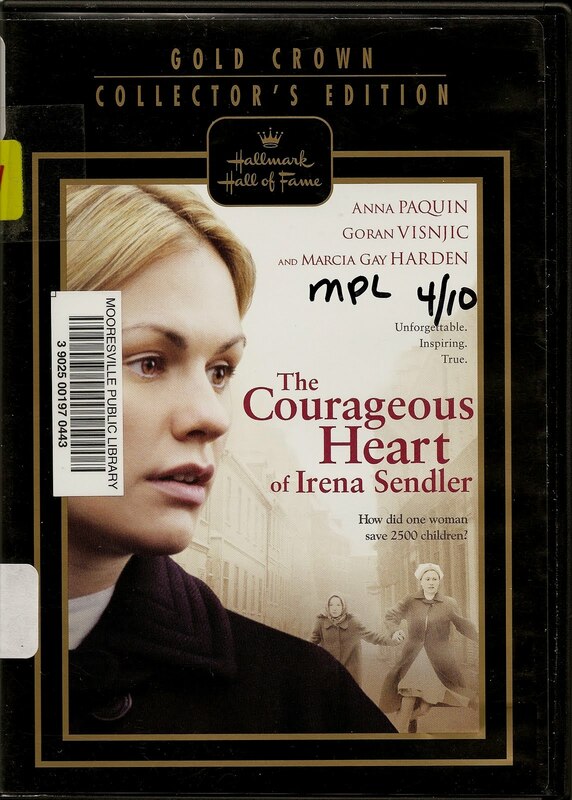 A powerfully written and directed film, this story, much like "Schindler's List", is the story of human beings at their best, even in the midst of the worst. A stunning film.